Because we focus on farms and homes with land, our team covers a broad area in the Carolina Piedmont. 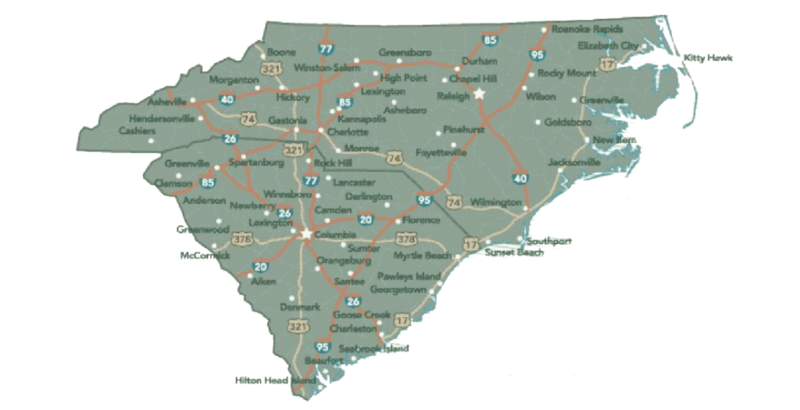 Our geographic focus is the Piedmont section of North and South Carolina. North Carolina and South Carolina are divided into three distinct geographic and climate zones. One of the more interesting of these three areas is the broad middle swath of each state known as the Piedmont plateau region. This region is part of a plateau between the coastal plain and the Appalachian Mountains.